Facile had no gift for his baby sister Lucía, but he had a mango seed, so he dug a hole in the dry earth and planted it. When a goat came and ate it, he did not give up. He just planted again. When heavy rains washed the seed away, he did not give up. He just planted again. But when the farmers set scrub fires and left him with only a blacked stick, Facile was ready to give up. What did his tontón (his uncle) tell him that convinced him to give it another go? What did it finally take to grow that tree? The author of Circles of Hope, Karen Lynn Williams, lived for a time in Haiti. She saw firsthand, the hardscrabble struggle for survival and the effort to repair the depleted natural environment. Her story of one little boy’s perseverance mirrors an entire people’s efforts to again and again find hope and make a way forward. Williams’ story was written before the devastating earthquake that hit Haiti in 2010, yet the story seems only more poignant and relevant in light of the long and arduous recovery process. 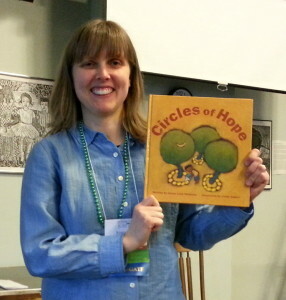 I’ve told Circles of Hope in worship services, but I also used it in a workshop about storytelling and social justice. This story is a great example of how stories can connect with and inspire faith-based social just work like what is being done in Haiti right now. This summer, the Unitarian Universalist Service Committee successfully built over 100 container gardens for urban farmers in Port-au-Prince. The container gardens were made from discarded tires- another kind of circle of hope. Many other faith traditions are also partnering with people in Haiti to help rebuild that nation’s future. 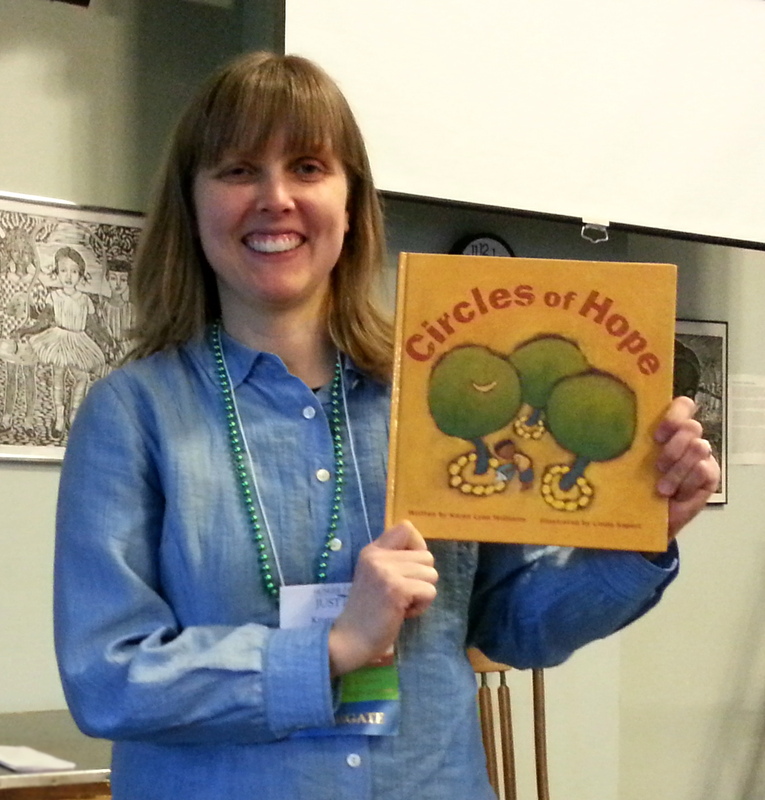 If you use Circles of Hope in a worship service, let me make a plug for telling it rather than reading it aloud. The plot is structured in a way that makes it easy to remember and tell. Also, there are many physical actions that are fun to incorporate into the telling – planting, digging, and carrying water on one’s head. Of course, there isn’t a wrong way to share this story. If you do read it aloud, the illustrations by Linda Saport are bright and engaging and bring the text to life in a beautiful way. It’s a fine story and a fine book,too.